The heart of Château Palmer. Here in the Palmer Village, overlooking the great sorting hall, is where every wine is born and matures. 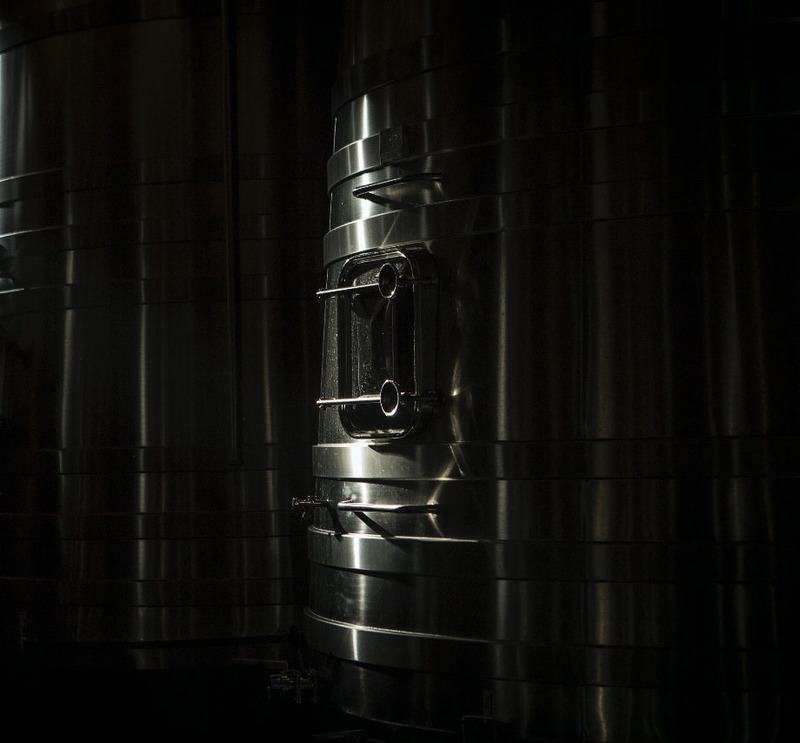 In the shadow of stainless-steel vats and wooden barrels, the technical teams work with care and precision to exalt the vineyard while respecting its bounty. It is where innovation meets tradition – and the future wines of Château Palmer come to life. The Vat Room. Fifty-four conical vats stand in alignment. Here, parcel by parcel, variety by variety, the freshly harvested grapes, their skin, seeds and juice intact, will arrive after sorting and pressing to begin their fermentation. 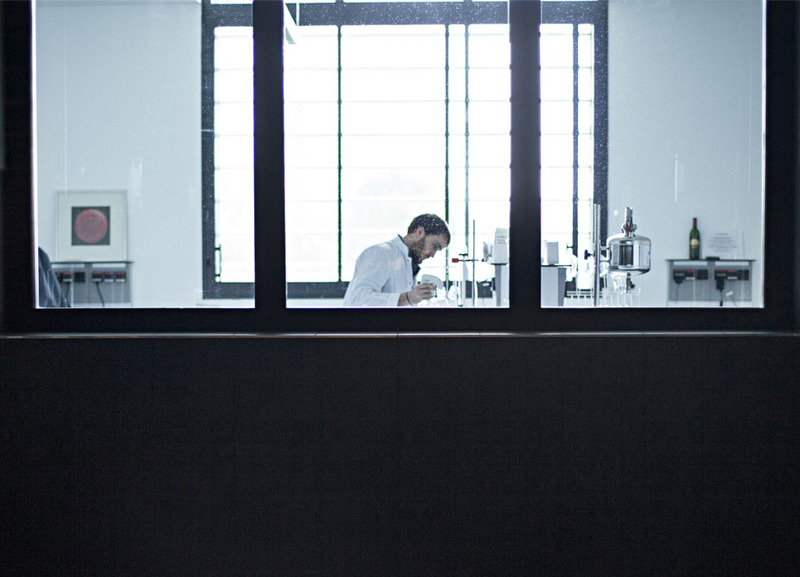 It’s a pursuit of precision, enabling the expression of every nuance of each terroir. The Tasting Room. A space as sparse as it is charged with emotions. Here, during numerous blending sessions, the outlines of each vintage are drawn. One by one the lots are tasted and classed, ready to be used – or not – in Palmer or in Alter Ego. Little by little, the blend is refined until, at last, emerging complete. “Tasting a newly blended vintage is magical. It is always better than each of the individual batches that make it up. The Experimental Vat Room. At Château Palmer, the constant reassessment of our practices has become a rule in itself. To facilitate this continual experimentation, a unique vat room has been built. Its small vats allow the teams to study and analyse throughout the year, particularly during the blending phase. 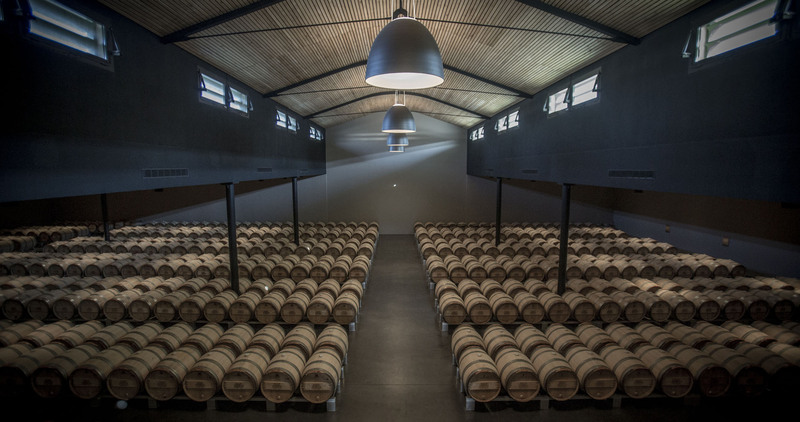 The Barrel room. A monastic silence reigns. Such as time requires to carry out its work: 20 to 22 months of ageing in barrels, less than half of them new wood. At the heart of everything is a respect for the wine, always and ever.